Two posts today and this one is also featuring items from Uber. 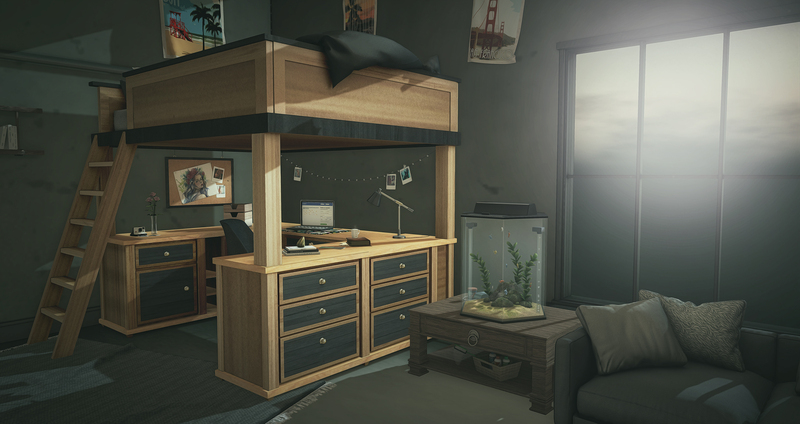 I’m sure it’s not gone unnoticed that Astralia has been producing more home and decor items recently and they have a new one at Uber with the small spaces bed. There are two versions PG and Adult and the animations certainly make use of all of the available bed and desk space. There are texture change options for the wood as well as the option to put your own photos on the Polaroid snapshots that are part of the desk decor.